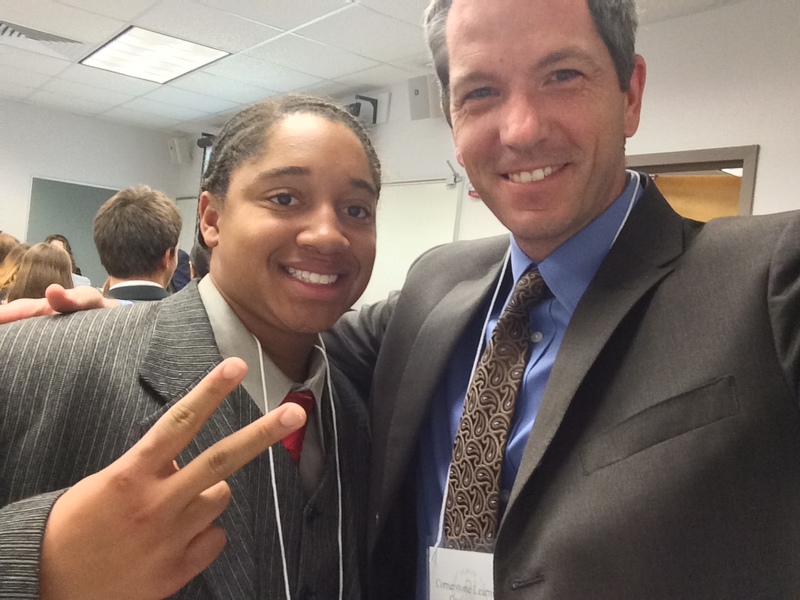 Former student and Alumni, Ross Donaldson, and I reconnect at at Model UN in winter of 2015. 15 years later, with graduates attending universities and graduate schools far and wide, entering the professional workforce, and even returning to work here on campus, we begin to have an answer to those questions. Yes, curiosity can survive. And it is most likely to thrive when students connect with each other, the content, and the world around them in rich and meaningful ways. In short, when experiences provide students room to make choices, exercise agency, and collaborate to solve real-world problems, they emerge empowered, capable, and both compassionate and empathetic. 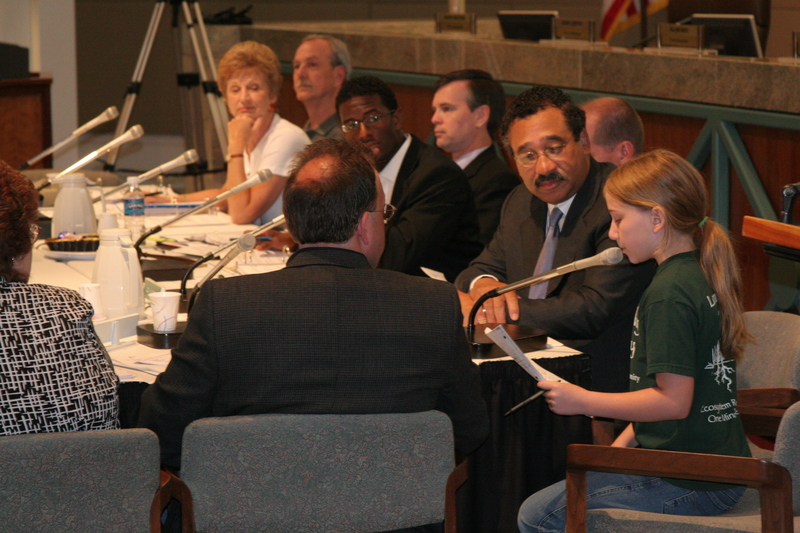 CLC Alumni and current After-school Coordinator/All School Play Co-Director, Emily Backes, speaks truth to power as a 4th grader in advocating for the creation of the Hwy 27 Eco-Passage. This could not be more important than at this time in history. As the world becomes increasingly interconnected and globally minded, so do humanity’s challenges. Our young people must be open-minded, creative, and critically thinking problem solvers. They must be able to go beyond memorizing content or meeting basic standards to the higher order skills of questioning, analyzing, listening, creating, applying, and synthesizing. To develop these skills, students need experiences in experimenting, innovating, and being involved citizens who leverage research and knowledge to make a positive impact on their world. Which is part of what makes working on behalf of this community so satisfying. 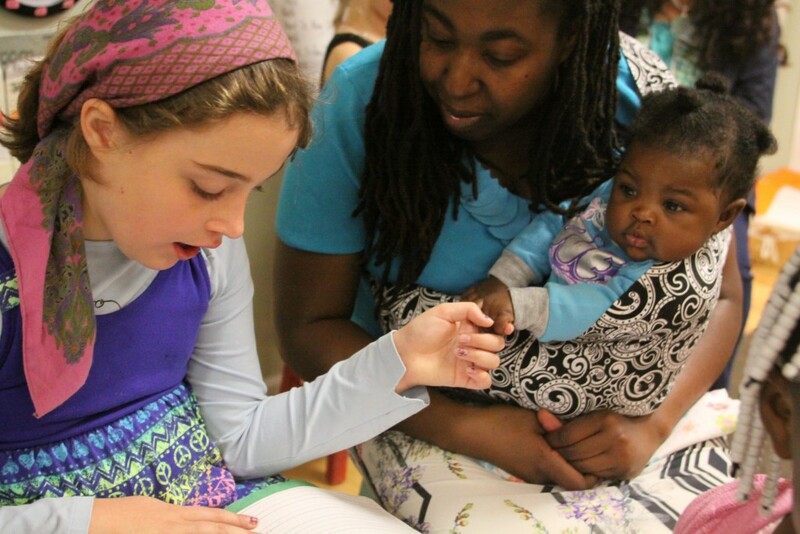 Our teachers and parents are passionate about learning, inquiry, service, and individualizing for each learner. As a community we care deeply about environmental and social justice, our core virtues (honesty, respect, self-discipline, compassion, perseverance, giving, and responsibility), the arts, and the well-being of the whole child — socially, emotionally, intellectually, and physically. It is part of why our students can be found in their classrooms working as well as on our partner farm, a service outing, or on any number of educational field trips. 2nd grader reads her “All About . . . ” book to a visiting mom and her infant. Here at CLC, learning happens everywhere. That’s the, ahem, cornerstone of a life long love of learning — the capacity to learn anywhere and everywhere. Visit us on campus and you will see what we see every day: joyous, capable students inspired by their work and seizing opportunities to engage deeply in the world around them. For those of you new here, welcome. For those of you who are already helping us challenge and change assumptions about what an education must be, thank you. Together we can make a difference for only not our children, but for others’ children, and, ultimately, the larger world as a whole as well. I look forward to learning and changing the world with you and your family.